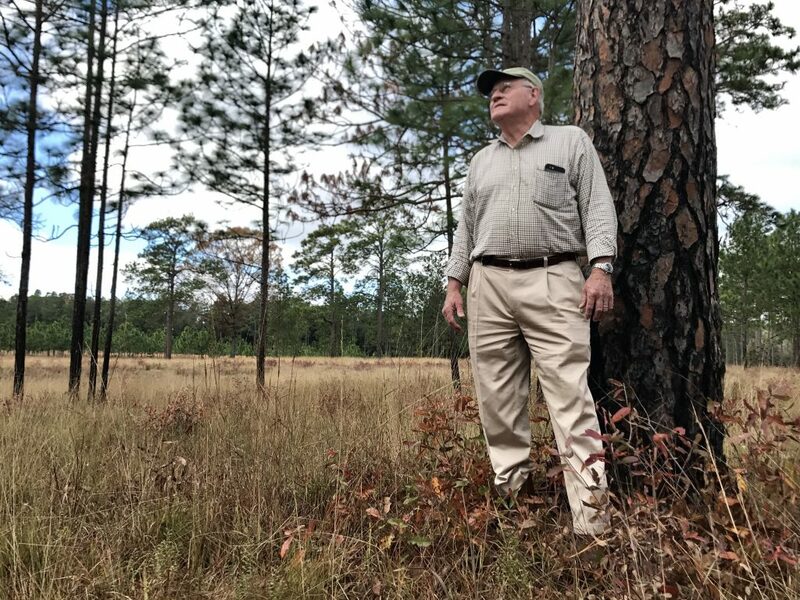 Charley Tarver has dedicated his life to conserving the longleaf pine ecosystem. So in 1999, when presented the opportunity to buy a plantation in southwest Georgia, he did not hesitate. 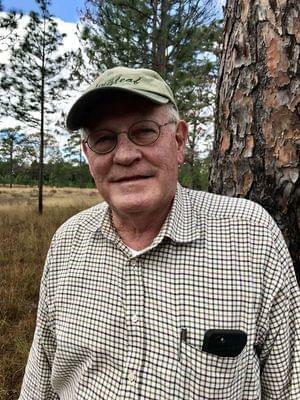 Tarver, a 1968 Auburn University School of Forestry and Wildlife Sciences alumnus and founder of Forest Investment Associates, has turned his longleaf pine forest into a conservation site for the endangered red-cockaded woodpeckers, or RCWs. 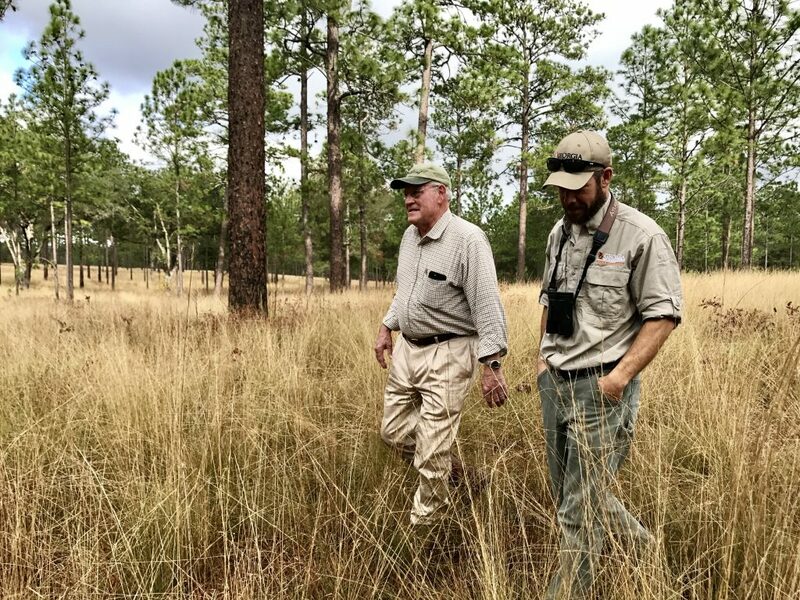 “A significant portion of Longleaf Plantation is old growth longleaf forest with an open understory, primarily occupied by wiregrass and other warm season native grasses and legumes. It is prime habitat for RCWs,” Tarver said. Tarver’s Longleaf Plantation was the third property in Georgia to be enrolled in the U.S. Fish and Wildlife Service Safe Harbor Agreement for red-cockaded woodpeckers in 2001. As of today, Tarver believes there are about a dozen of the woodpeckers living on his property. According to the U.S. Forest Service, there are only 3,150 active clusters of red-cockaded woodpeckers left in the southeastern United States. 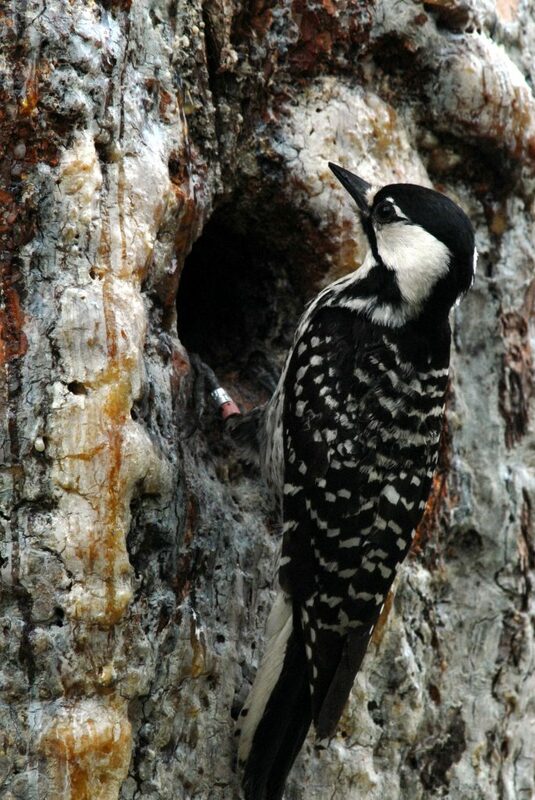 In 2012, Tarver had the first red-cockaded woodpecker to occupy a cavity at Longleaf Plantation. He named the bird “Eglin,” whose name comes from the U.S. Air Force base near Fort Walton Beach, Florida, from which biologists located the bird before releasing him in southwest Georgia. 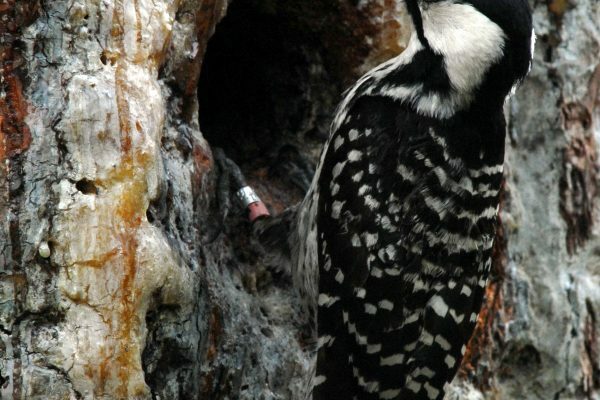 Jonathan Burnam, a wildlife biologist for the Georgia Department of Natural Resources, says Tarver’s efforts are helping to expand an established red-cockaded woodpecker population near his property. “Mr. Tarver’s willingness to manage the habitat and create clusters is regionally important in that it provides connectivity with a growing woodpecker population next door,” Burnam said. 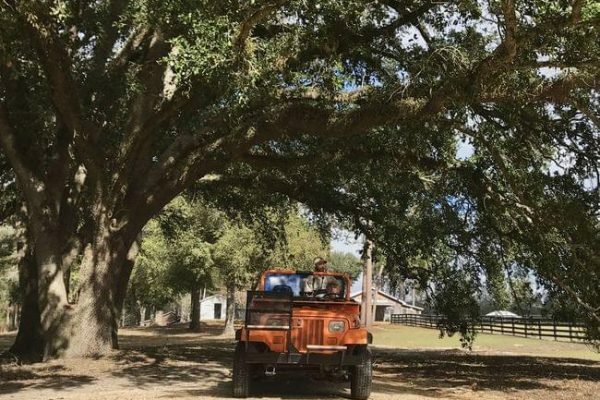 One of Tarver’s favorite experiences from Longleaf Plantation happened this past January when he was able to capture and band the first red-cockaded woodpecker to fledge at Longleaf. With this bird, he decided to pay homage to his alma mater. “I named him ‘Aubie’ and his bands are, of course, orange and blue,” Tarver said. 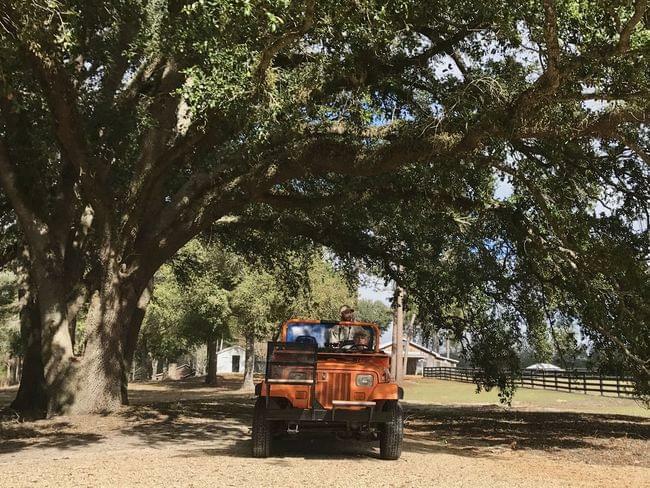 For Tarver, successfully establishing a viable population isn’t the only reward from Longleaf Plantation. 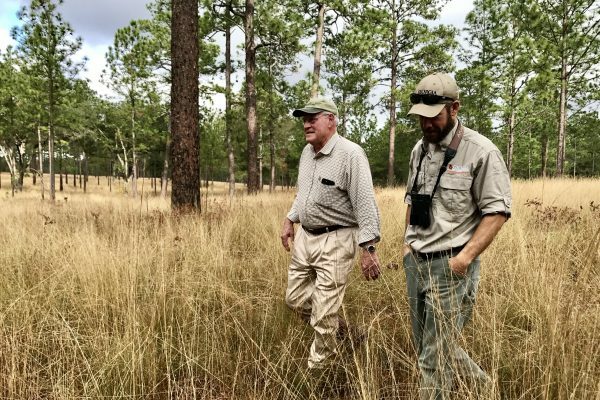 “I am also richly rewarded by sharing Longleaf and its RCWs with friends who understand the importance of conservation efforts on private lands,” he said. Tarver hopes his efforts to conserve the red-cockaded woodpecker population will inspire others to do the same. 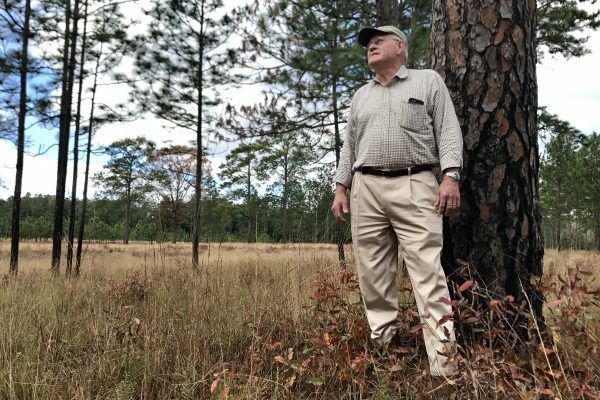 “I hope that our work at Longleaf on longleaf restoration and management, as well as our work with RCWs, will inspire other private landowners to join the effort to restore the southeastern longleaf forest to a more dominant position throughout its range from Virginia to Texas,” he said. More information about red-cockaded woodpecker conservation efforts are available online.